What if Microsoft relented and granted users who are lukewarm about Windows 8 two of their biggest requests: Allow those who want to boot straight to the desktop, and bring back the Start button with Windows Blue, a.k.a. Windows 8.1? Though supposedly not part of the original plan for Blue, these two UI options are looking more likely. Reports from a couple of different forums from this past weekend raised the possibility that Microsoft might be moving toward allowing users to skip booting into the Metro-Style Start menu and instead start their PCs in desktop mode. Where Windows 7 displays its power button in a prominent place on its Start Menu, Windows 8 makes you perform four actions just to turn your computer off. To get to the power button in the new OS, you must pull out the Charms menu, click the Settings charm, click the Power button and then select Shutdown or Restart. Right click on the desktop and select New -> Shortcut. A shortcut menu appears. In the location box, type shutdown /p to shut down Windows 8 immediately or shutdown /r /t 0 to reboot Windows 8 immediately. Click Next to continue. Enter a name for the shortcut and click Finish. A new shortcut will appear on your desktop. Right click on the shortcut and select Properties. A dialog box appears. Click Change Icon under the Shortcut tab then Click Ok in warning box that says shutdown.exe contains no icons. Select an Icon from the list of available images Click Ok twice (once to close the Change Icon window and once to close Properties window). Your shortcut will now have an icon. Right click the shortcut and select Pin to Start. The shutdown icon will now appear on your Start screen. Drag the shutdown icon to a prominent place on your Start screen. We recommend putting it in the first column to the left so you will always see it. Right click the icon and select Pin to Taskbar if you want the shortcut to live on your desktop’s taskbar as well. Repeat the previous steps to create a Restart button. Use the command “shutdown /r /t 0″ in the location field. IT Solutions – Microsoft is telling Windows users that they’ll have to reinstall the operating system if they get infected with a new rootkit that hides in the machine’s boot sector. A new variant of a Trojan Microsoft calls “Popureb” digs so deeply into the system that the only way to eradicate it is to return Windows to its out-of-the-box configuration, Chun Feng, an engineer with the Microsoft Malware Protection Center (MMPC), said last week on the group’s blog. “If your system does get infected with Trojan:Win32/Popureb.E, we advise you to fix the MBR and then use a recovery CD to restore your system to a pre-infected state,” said Feng. Malware like Popureb overwrites the hard drive’s master boot record (MBR), the first sector — sector 0 — where code is stored to bootstrap the operating system after the computer’s BIOS does its start-up checks. Because it hides on the MBR, the rootkit is effectively invisible to both the operating system and security software. According to Feng, Popureb detects write operations aimed at the MBR — operations designed to scrub the MBR or other disk sectors containing attack code — and then swaps out the write operation with a read operation. Rootkits are often planted by attackers to hide follow-on malware, such as banking password-stealing Trojans. They’re not a new phenomenon on Windows. In early 2010, for example, Microsoft contended with a rootkit dubbed “Alureon” that infected Windows XP systems and crippled machines after a Microsoft security update. At the time, Microsoft’s advice was similar to what Feng is now offering for Popureb. If you need help and support with virus removal please don’t hesitate to contact us. 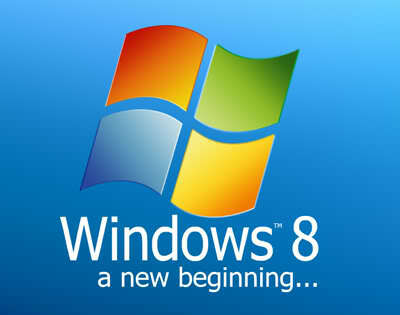 Time is running out for customers still leveraging Windows Vista plus the first Service Pack released by Microsoft. Windows Vista SP1 has less than a couple of months of life left in it, support-wise. This because, Vista SP1 will reach end of support on July 12, 2011. The best course of action for users is to make sure to upgrade as soon as possible, or at least start planning for the jump to a more recent release of Windows. At this point in time customers have two options at their disposal, only one of which does not require them to actually change the operating system, namely moving to the second upgrade released for Vista. “From that date onward, Microsoft will no longer provide support or free security updates for Windows Vista Service Pack 1 (SP1). In order to stay secure and continue support you must upgrade to Service Pack 2 (SP2),” revealed a member of the Microsoft Small Business team. In addition to moving to Vista SP2, Windows 7 is also available as an upgrade alternative, and of course, one that’s far superior to its predecessor. Microsoft is currently hard at work on the next version of the Windows client, but those on Vista SP1 should not expect for the successor of Windows 7 to come out before dumping Vista SP1. Microsoft today announced that it had wrapped up work on Windows 7 Service Pack 1 (SP1), and would start delivering the major upgrade on Feb. 22 through Windows Update. The company said it had reached the “release to manufacturing,” or RTM milestone for both Windows 7 SP1 and Windows Server 2008 R2 SP1, and was shipping the code to PC and server makers today. 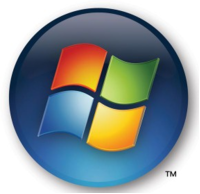 Customers who subscribe to either TechNet or the Microsoft Software Developer Network (MSDN) can download Windows 7 SP1 starting Wednesday, Feb. 16, the same day companies with volume license agreements can grab the upgrade. The general public must wait until Tuesday, Feb. 22, when SP1 hits the Windows Update service. Microsoft typically reserves the last Tuesday of each month for shipping non-security updates. 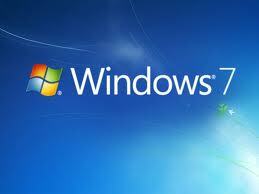 Microsoft has said several times that Windows 7 SP1 would not include any new features specific to the operating system, but would instead be composed of the security patches and nonsecurity fixes that had already been issued via Windows Update. The only additions to SP1 include an updated Remote Desktop client designed to work with RemoteFX, a new technology that debuts with Windows Server 2008 R2 SP1. RemoteFX is designed to improve the graphics performance of Windows 7 virtual machines hosted on Server 2008 R2 SP1 systems. Windows 7 SP1 also supports “Dynamic Memory,” a feature in Server 2008 R2 SP1 that lets IT staff adjust guest virtual machines’ memory on the fly. Today, Microsoft touted the benefits of Windows 7 SP1 to corporations, claiming that RemoteFX and Dynamic Memory would let computer makers design and sell low-cost clients that run Windows 7 in a virtual machine. A piece of banking malware that researchers have been keeping an eye on is adding more sophisticated capabilities to stay hidden on victims’ PCs, according to the vendor Seculert. Carberp, which targets computers running Microsoft’s Windows operating system, was discovered last October by several security companies and noted for its ability to steal a range of data as well as disguise itself as legitimate Windows files and remove antivirus software. 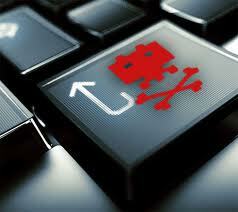 It has been billed as a rival to Zeus, another well-known piece of malware. Carberp communicates with a command-and-controller (C&C) server using encrypted HTTP Web traffic. Previous versions of Carberp encrypted that traffic using RC4 encryption but always used the same encryption key. Using the same key meant it was easier for intrusion protection systems to analyze traffic and pick out possible communication between the infected Carberp computers and the C&C servers, said Aviv Raff, CTO and co-founder of Seculert. Seculert runs a cloud-based service that alerts its customers to new malware, exploits and other cyberthreats. A new version of Carberp is mixing it up, using a randomly different key when it makes an HTTP request, said Raff. When it uses the same key, there are some static patterns that can be detected. Even Zeus, which is begrudgingly respected for its high-quality engineering, uses the same key that is embedded in the malware. Seculart has posted a writeup about Carberp. Carberp has also expanded the scope of the victims it seeks to infect. The latest version is targeted users in Russian-speaking markets, Raff said. Previous versions targeted banks in the Netherlands and the U.S., he said. Technical support phone number uk? POWERFUL LOW COST SEO, BASED IN THE UK!